Operator acquires 5G spectrum portfolio as it prepares for UK 5G launch. Three has announced a major expansion to its 5G strategy in the UK with news of a multi-billion pound investment. The operator has confirmed that it will be investing more than £2bn in 5G technology as it continues to move closer to offering next-generation networks to its customers in the near future. 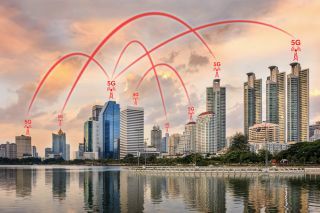 Besides buying UK's 5G spectrum portfolio, Three UK has signed an agreement which will see it roll out new cell site technology for urban areas. This will not only lay the groundwork for 5G, but also enhance 4G, as well. The telecoms company built a super high-capacity dark fibre network, connecting 20 new data centres. It has also deployed a fully integrated cloud native core network in the new facilities, with an initial capacity of 1.2TB/s. Finally, it has rolled out carrier aggregation tech on 2,500 sites, to improve speeds. “We have always led on mobile data and 5G is another game-changer. Also described as wireless fibre, 5G delivers a huge increase in capacity together with ultra-low latency. It opens up new possibilities in home broadband and industrial applications, as well as being able to support the rapid growth in mobile data usage,” commented chief executive officer at Three, Dave Dyson.